Today, Rating-System.com launches a new integration for Twitter, bringing together the power of Twitter with ratings and reviews, the world’s leading social media management system. 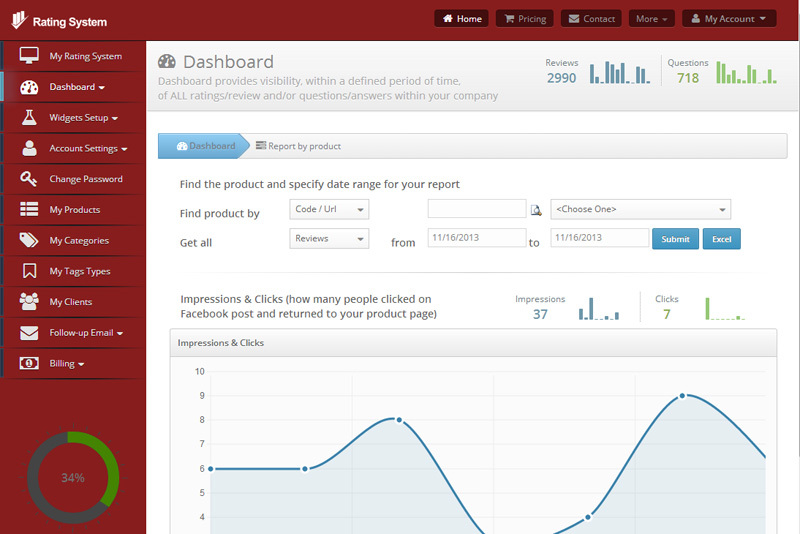 Once you connect a Twitter account to our system and start promoting new products reviews - we begin gathering data on it. These metrics help you quickly evaluate whether your Twitter strategy is having the desired effects and how much traffic Twitter brings to your site. This approach encourages tweets that are engaging, relevant and useful. Our customers can find more information and get started now. Towards this goal, we’re always working on ways to make it easier to manage and get more value working with us. 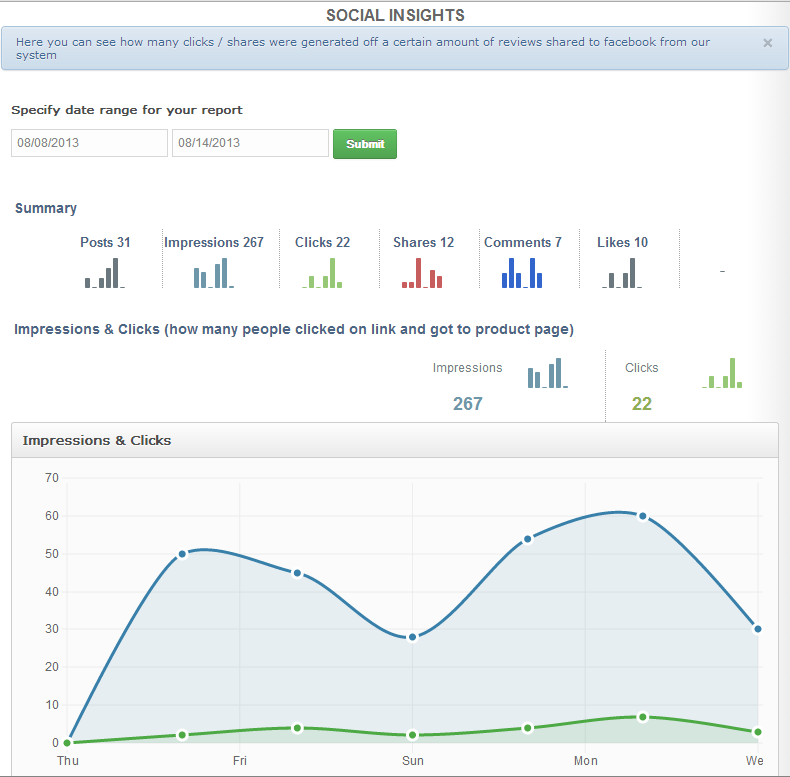 That integration shows its most value on the reporting front, presenting you details such as clicks, re-tweets, replies and conversions. 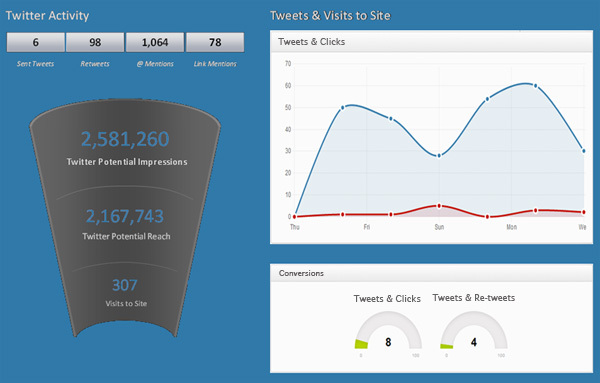 We integrate social media metrics with exquisite charts and graphs.